Watch Series Premier: American Nomads Episode 1: Breacher Up! New from Peter Rogers Outdoors: ‘So, You Want To Hunt Turkeys? 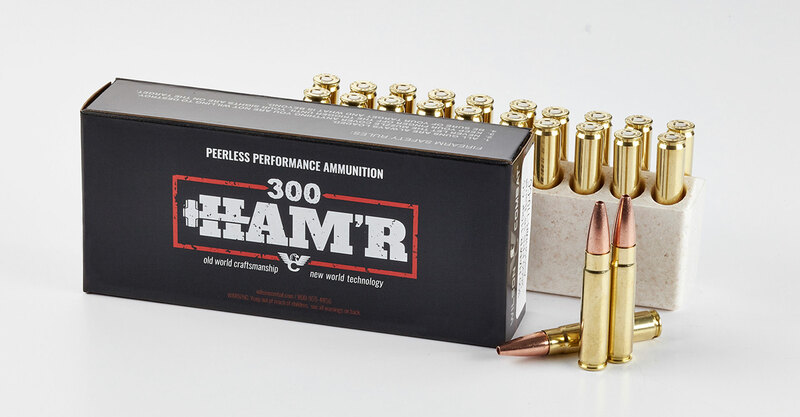 Wilson Combat has announced new ammunition for the 300 HAM’R AR cartridge. The rifle is loaded with the 150 grain Hornady SST bullet at 2260 FPS velocity and 1701 FP of energy is ideal for hunting or defensive shooting and the SST bullet’s polymer tip gives enhanced expansion and shocking ballistic terminal performance while the interlock design provides deep penetration. Available only from Wilson Combat for $22.95 per 20 rds. Gun Stock Reviews: Are Low Cost, Red Dot Sights Worth It?? GetZone.com promotes safe shooting and responsible firearms ownership as well as ethical hunting and wildlife conservation.